The mission of the Future Fund is to invest in quality programs, organizations and causes that benefit children and education in Round Rock. The fund, established in 2007 and funded annually by a group of Round Rock residents, was created to ensure long-lasting philanthropic support for nonprofits helping local students thrive in school. Eligible recipients include educational programs as well as those organizations eliminating barriers to learning for Round Rock children. 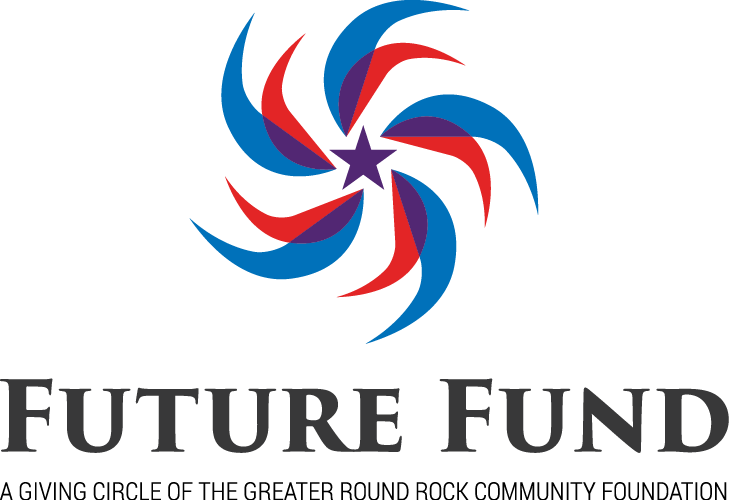 The Round Rock Future Fund is mostly made up civic-minded couples and individuals with school-age children who want to ensure that Round Rock continues to be a good, safe community to call home. The GRRCF board calls this group the Up-and-Comers. They believe this group is the future of Round Rock…future business leaders, future elected officials, future philanthropists, etc. Each couple or individual contributes $600 ($500 goes into the fund for distribution to charities at the end of the year; $100 goes to the Round Rock Community Foundation (our sponsoring organization) for administrative purposes). The membership meets quarterly to learn about funding opportunities that align with the Future Fund mission, and then collectively determine where to invest the resources. It’s a very efficient way to give back to the community and exponentially grow each member’s personal giving. Why create giving circles in Round Rock? In the short term, giving circles are a great way to exponentially grow personal charitable giving and significantly influence the well-being of Round Rock. Couples and individuals with some excess resource can do more in partnership with others than they can typically do alone. However the real benefit is long term. Giving circles are a great way to educate donors on the issues and emerging issues that will influence the future of their community. It’s also an effective introduction to the power and personal reward of philanthropy. $10,000 to Bookspring’s Reach out and Read program to purchase age-appropriate books to be distributed through local health clinics through their physician’s “prescription” and $2,500 to Round Rock ISD’s Learn and Serve program which will allow community service activities to be integrated with daily curriculum. $7,000 to Court Appointed Special Advocates (CASA) for volunteer training, $4500 to Young Life to expand their program in Round Rock and $4,000 to the Round Rock ISD Partners in Education Foundation for school supplies. $8,500 to Round Rock ISD’s Families in the Transition program, $4,250 to the Neighborhood Conference Committee and $4250 for the Round Rock Area Serving Center’s Computers for Kids program. $10,960 to the Round Rock Area Serving Center for their capital campaign which will allow them to increase services and $10,960 to Bluebonnet Elementary to refurbish their library. $6,000 to Hope Alliance for their Child Advocate Program, $10,000 to Backpack Coalition for their expansion project and food kits, and $4,000 to STARRY for their Family Reunification Fund. $5,000 to Agape Pregnancy Resource Center for their Foundations Class this class helps serve incoming clients, they were able to offer a new Money Matters class, $8,500 to Wonders and Worries to extend free mental health and support services to the 212 children and families, $4,500 to Partners in Education Foundation (PIEF) for the MyOn usage at Caldwell Heights, over 671 students have read 5,087 books totaling 901 hours and 22 minutes. $7,500 to Students against Substance Abuse. $7,500 to Williamson County Children’s Advocacy Center. $22,000 to 3 different Non-profits, $10,000 to Hope Alliance, $6,000 to Central Texas Table of Grace and $6,000 to The Sandbox at Madeline’s Place. $16,000 to 3 different Non-Profits, $8,00 to Lifeworks, $5,000 to Stand up Eight, $3,000 to Happy Birthdays. $15,000 to 3 different Non-Profits, $7,000 to CatalystCollectiveAtx, $5,000 to LiftBrigade, $3,000 to Foot Prints Ministry.